PlateRate is a restaurant rating app/website which addresses the major problems that users face with current popular food rating apps. Reviews and ratings are lengthy, arbitrary, and focus on areas that users don't always care about. And they're no joy to write unless you really, really like writing-- possibly causing further bias. 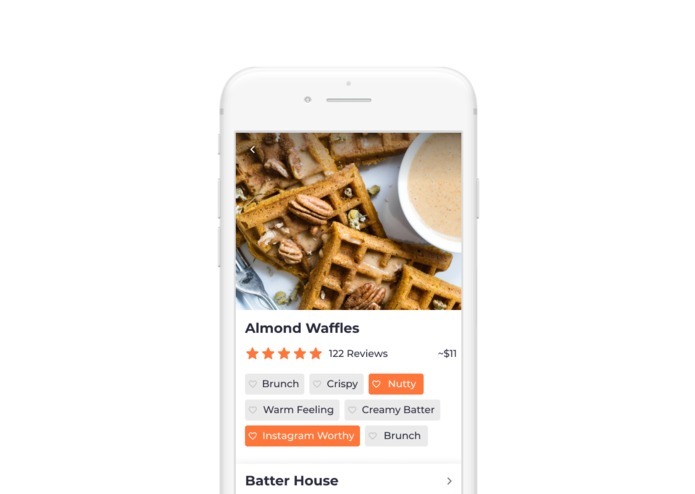 Our solution is simple but a game-changer: using tags to help the user see, at a glance, what that five-star rating means to them without sifting through hours of reviews (the user is hungry now!). Now reviews are fun to write, because you don't have to write anything: two taps and you're done. Users can also search for food tagged spicy. Or tangy. Or sumptuous. And PlateRate will get MORE review data, because submitting reviews will be so easy. Tags not only serve to condense reviews for more efficient searching, but also make results more qualitative than judgmental. If Jane likes spicy, strong flavored food she can find her favorite foods, while Jean, who likes more mild, subtle flavors, can find her favorite dish. People want the food! Not the restaurant. Sometimes, you just want a hearty oxtail stew. Or an authentic Hyderabadi biryani. Or a real Chicago deep-dish... while visiting New York. You could search Yelp for Korean restaurants, search through incomplete menus and make calls to confirm which restaurants have oxtail stew, and hope that the only restaurant that serves oxtail stew in the area has good, satisfying oxtail stew... even though it's primarily a Bulgogi joint. PlateRate uses the dish as the primary item for reviewing. While these will already be huge improvements over the current rating sites, we still envision further improvements in the future. Visualizations of the data and interactive filters for reviews would make the user's experience more fun and efficient. Incorporating a map application we can show users results based on location, but more visually and color-coded by rating, as well as even other things to do in the area. We could also use an aggregator of reviews from other review sites to give users an extra source of information, as well as to compare it with our data and even implement some AI features in the future. PlateRate will also have unintended benefits for several groups. Restaurant owners, instead of getting feedback through picky, angry reviews that require them to assuage the customer with credits or gift cards, can get feedback immediately in a qualitative way (such as when ten reviewers think "the soup is too salty") but in a format that makes it easy and quick for a busy business owner to interpret. Another group that will receive an important benefit is people with diet restrictions for their health. 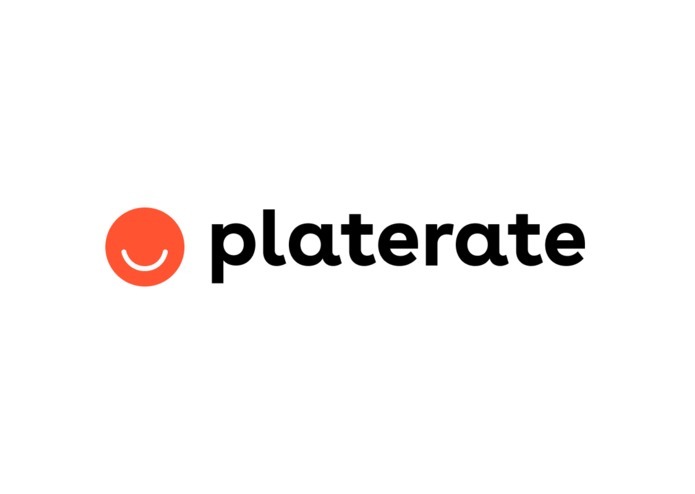 Although customers will still be encouraged to confirm with the restaurant directly, PlateRate can be a platform for users who look for gluten-free, dairy-free, vegetarian, vegan, or any other type of food. The tag system makes it easy to search for these criteria and sift easily through results. If a user with Celiac can find a gluten-free meal at a moment's notice, they can enjoy that night out with friends instead of just ordering the salad (which may have hidden gluten cross-contamination anyway) and cooking at home later (no fun when you're hungry and sleepy after a night out!) If this user can go out with their friends on a Friday night to dinner, they will feel more "normal", which can be life-changing for people who are often marginalized for their diets. 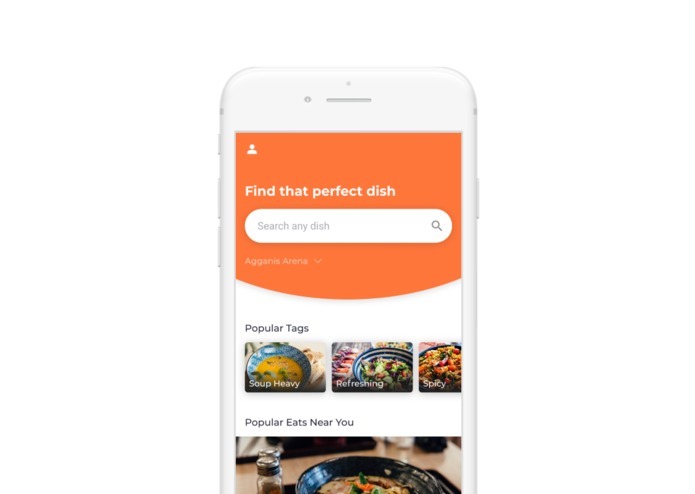 With PlateRate, you can be confident that you'll find the great meal you want, when you want it. I played a key role in brainstorming and designed some preliminary drafts including a very bare outline for what the Python code will be, and mockups of what the app should look like. My mockups served to concretize and focus the contents so that UX wizard Amanda could make the beautiful finished prototype. I mainly contributed with ideation and brainstorming throughout the project. As the person with the least tech experience, I played more of a supportive role of cheering for the team and offering ideas in the realms of design and user experience. Along with creative thinking for content for the app, I offered input and was the learner soaking in knowledge from the others. I led product design by establishing user flow, developing content architecture, iterating through layout ideas, and implementing a design system. I worked to brainstorm ideas with the team. Through the project I learned that there are always better ways to do the same thing but more effectively. Brainstorming in a group, we came up with more solutions than one would have come up with alone. 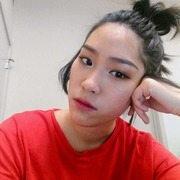 I learned a lot of new things related to tech like using figma, adobexd.